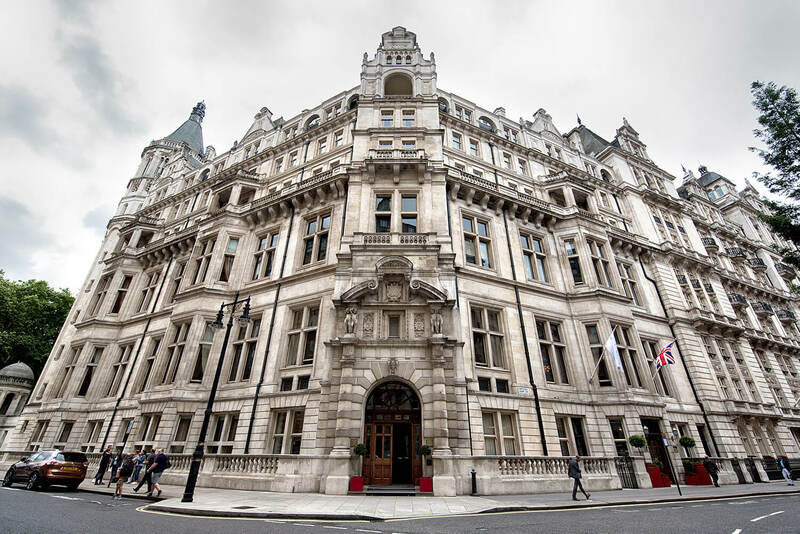 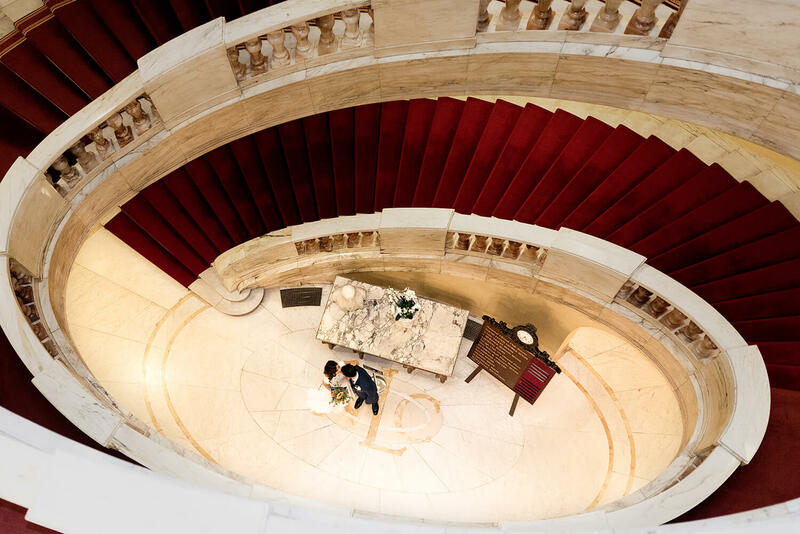 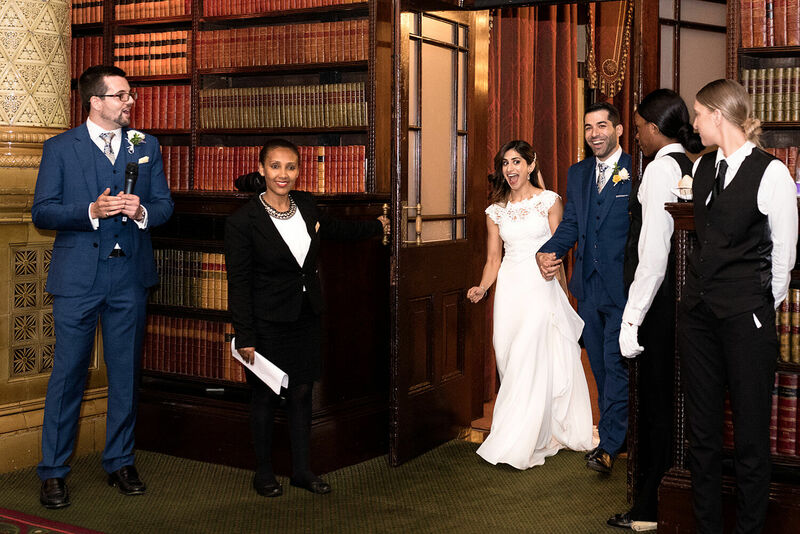 Last year Subul and Mo hired me to shoot their wedding at One Whitehall Place (which is within The Royal Horseguards hotel) in Westminster. 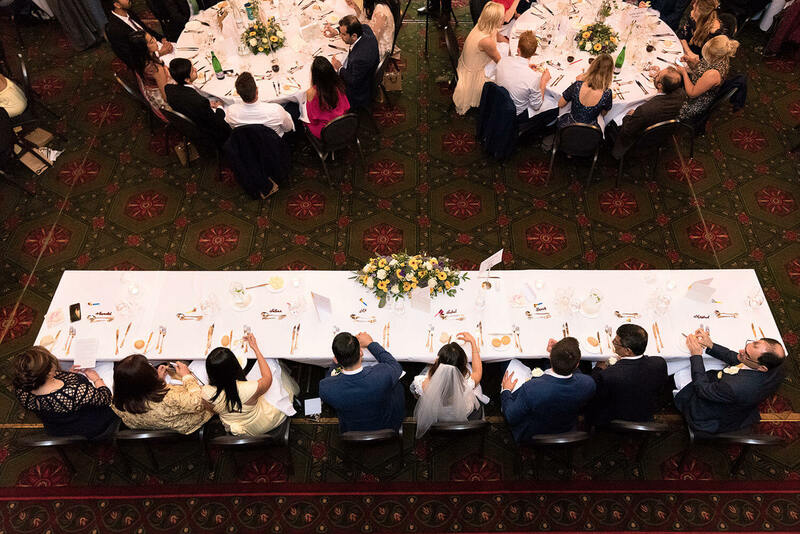 I also shot their second wedding reception at Syon House and the religious ceremony at Brook Kingston Hotel. 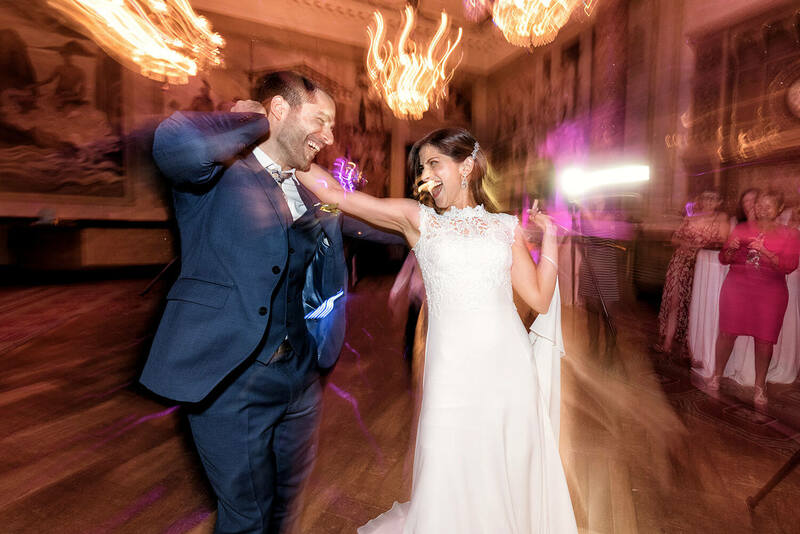 The couple are really good fun and on our pre-wedding consultation we sorted out all the details for this amazing wedding. 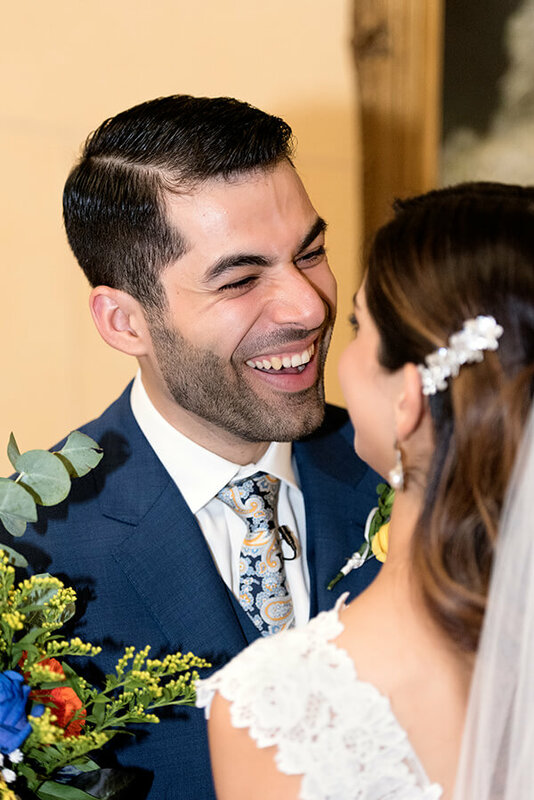 On the wedding day everything went flawlessly. 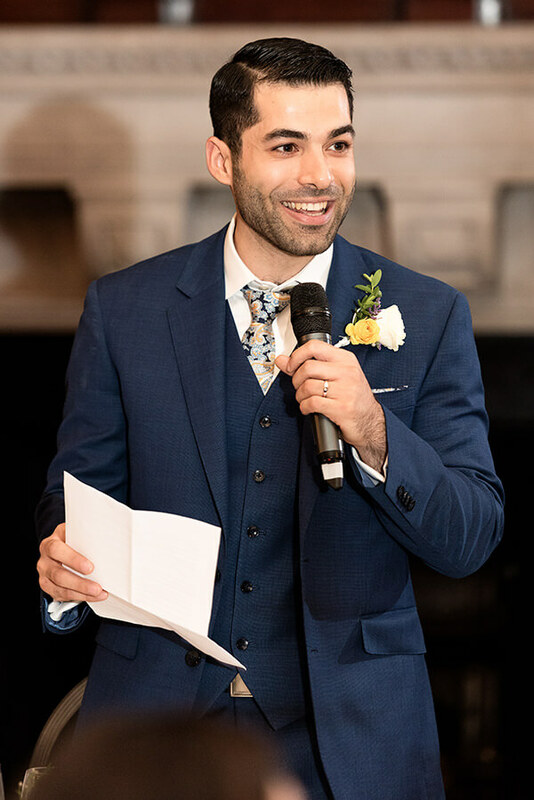 I arrived a bit earlier and got some shots of the groom at the wedding venue. 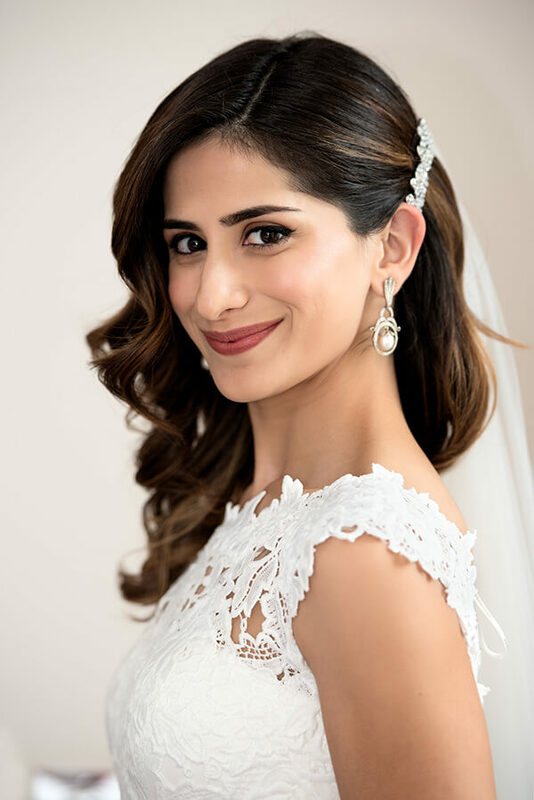 Shortly after, I went to the bridal suite at The Royal Horseguards Hotel to get some shots of Subul before the wedding. 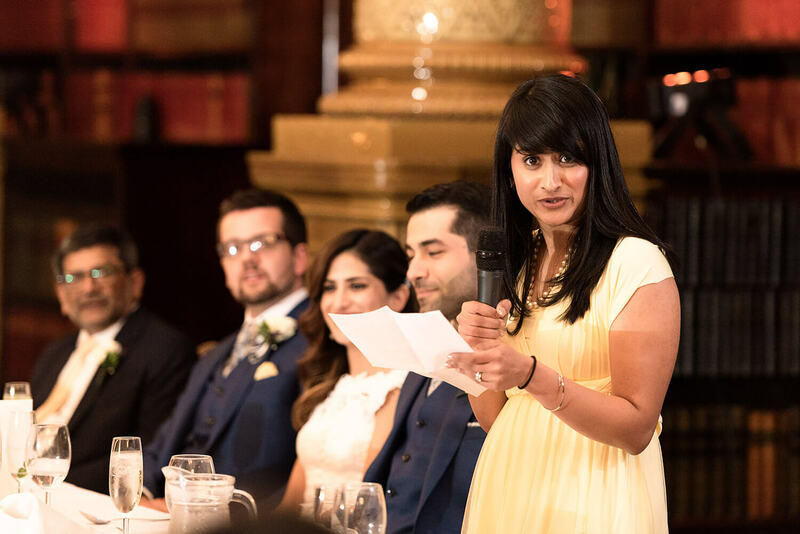 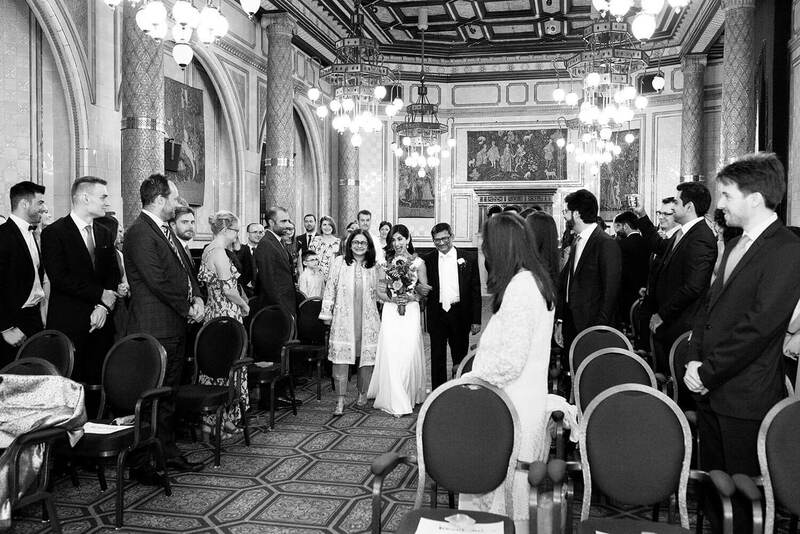 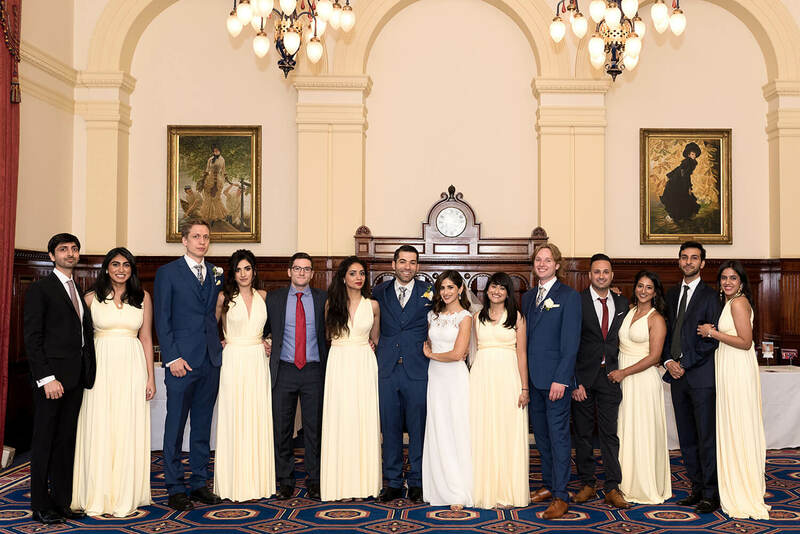 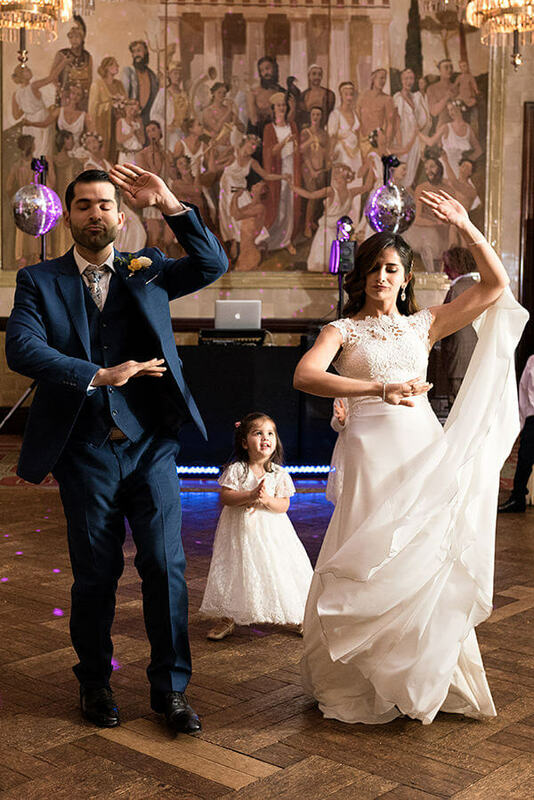 It was a beautiful wedding ceremony, with so many family and friends at a beautiful Victorian venue in Westminster. 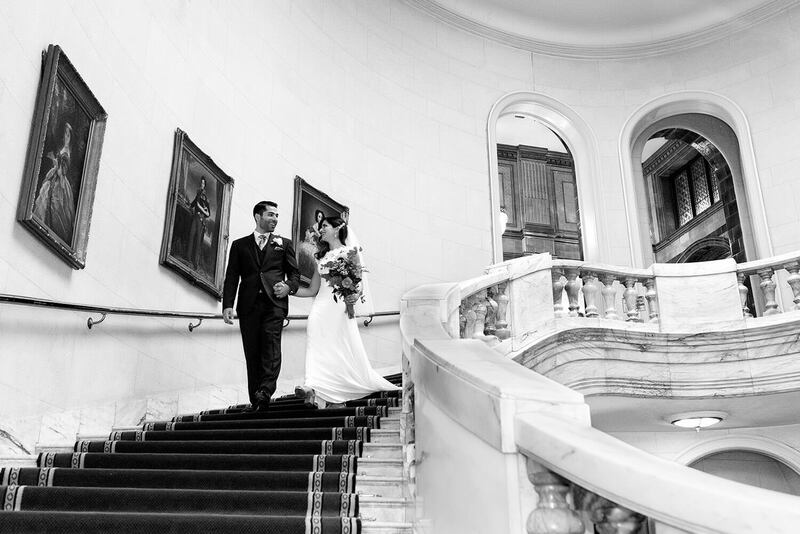 Just after the ceremony, the newlyweds and I went for a short walk inside this amazing building to get some shots. 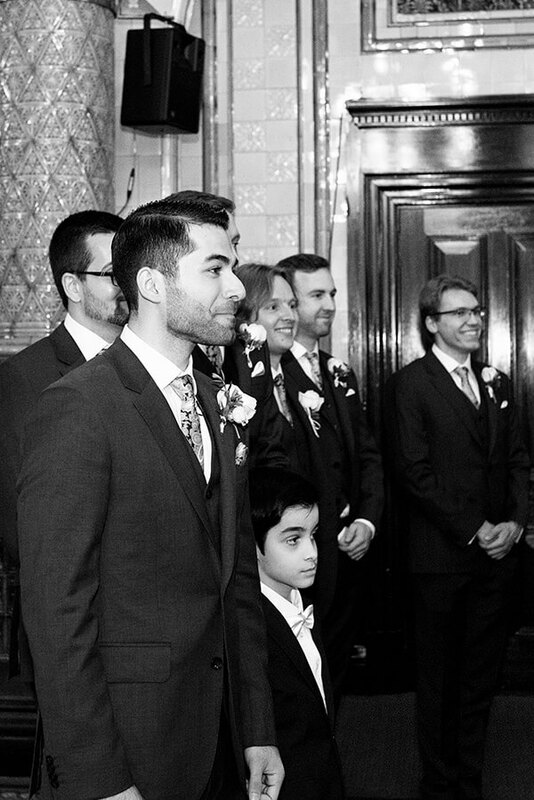 I got a list of approximately 30 formal shots, with bride and groom and their guests. 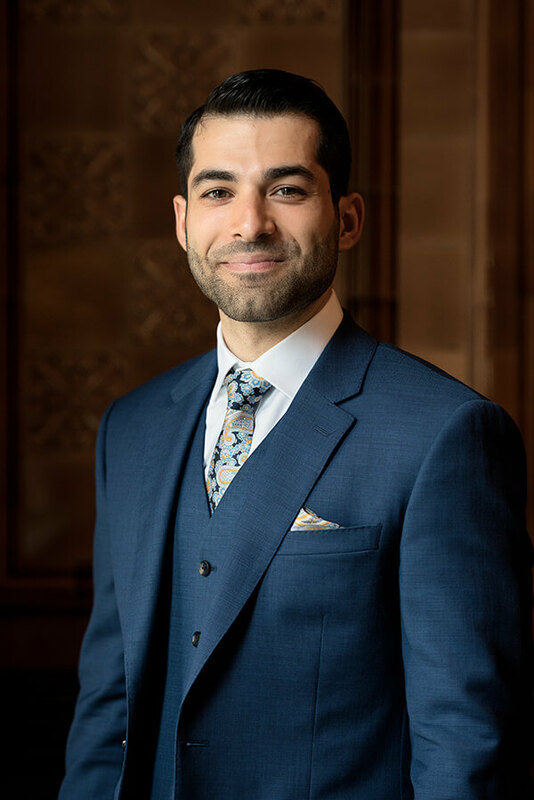 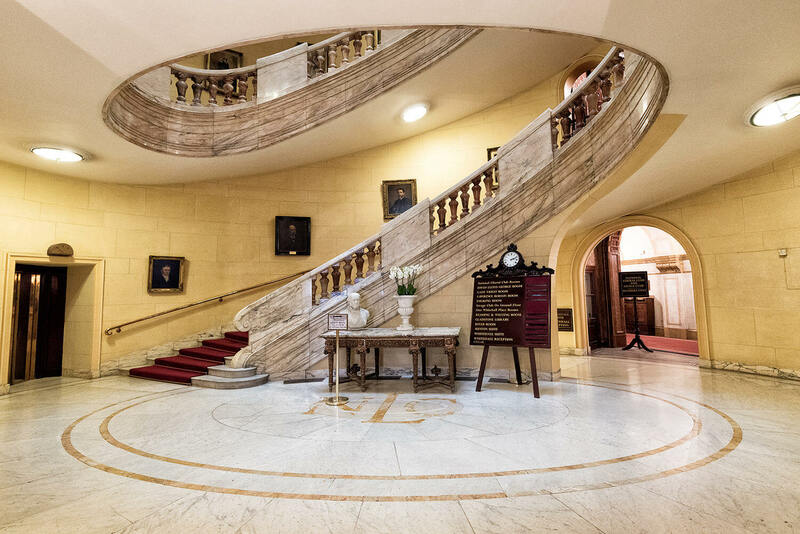 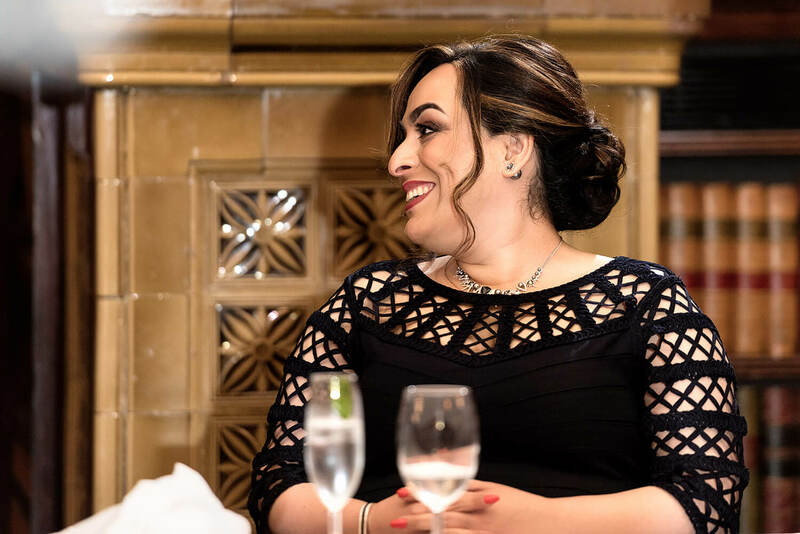 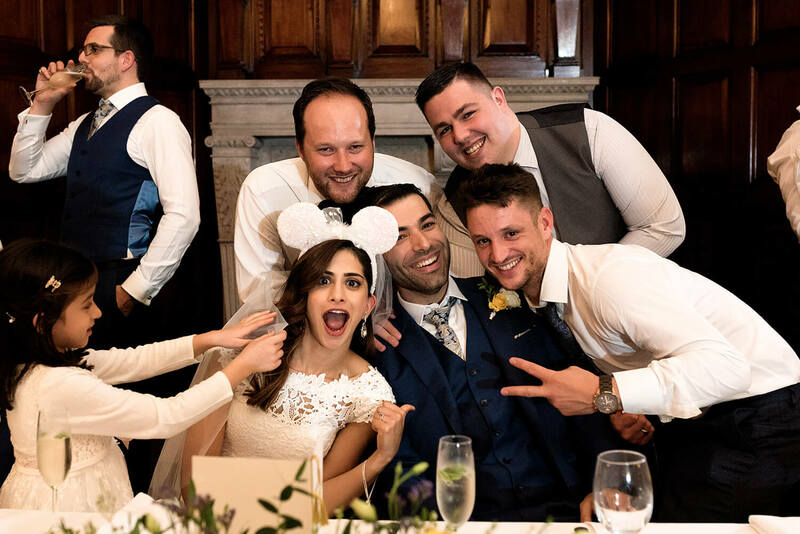 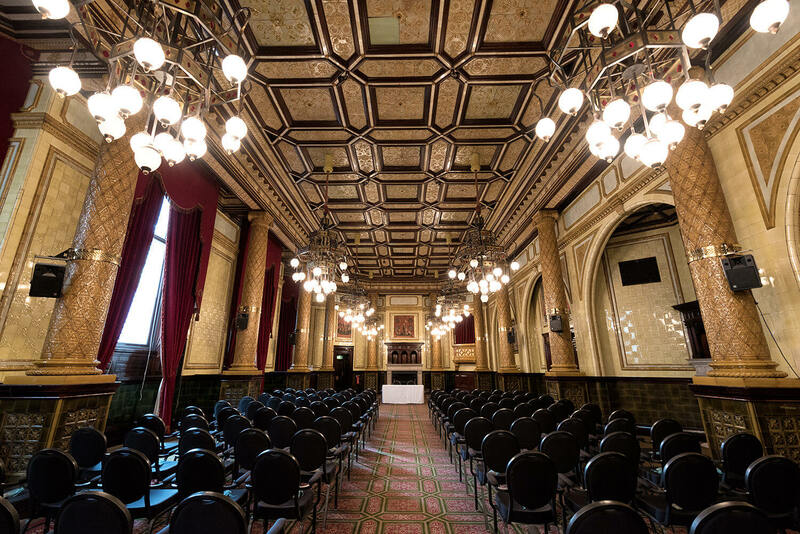 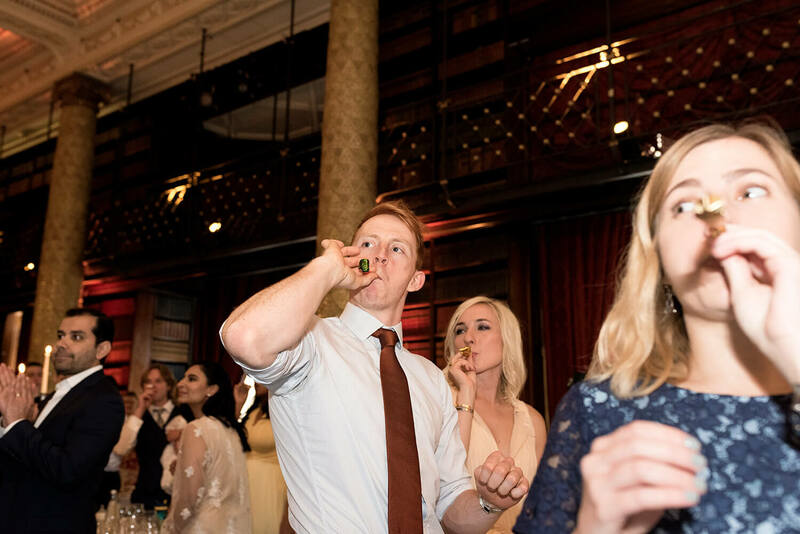 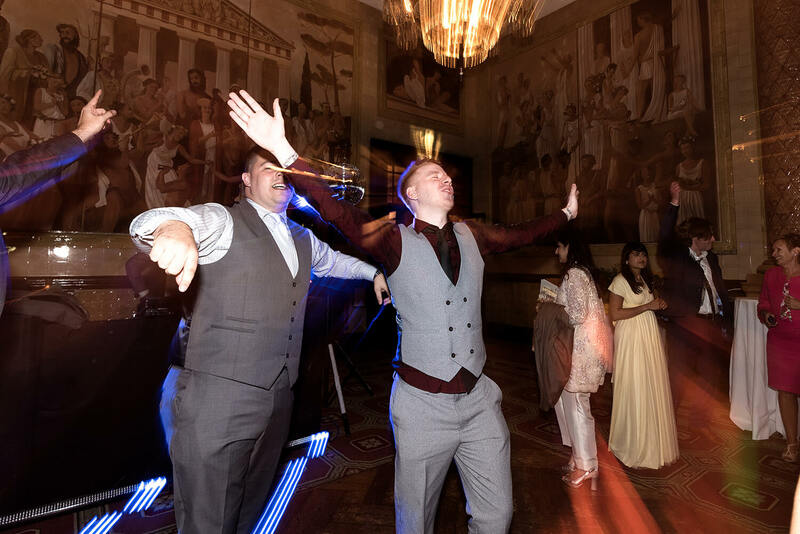 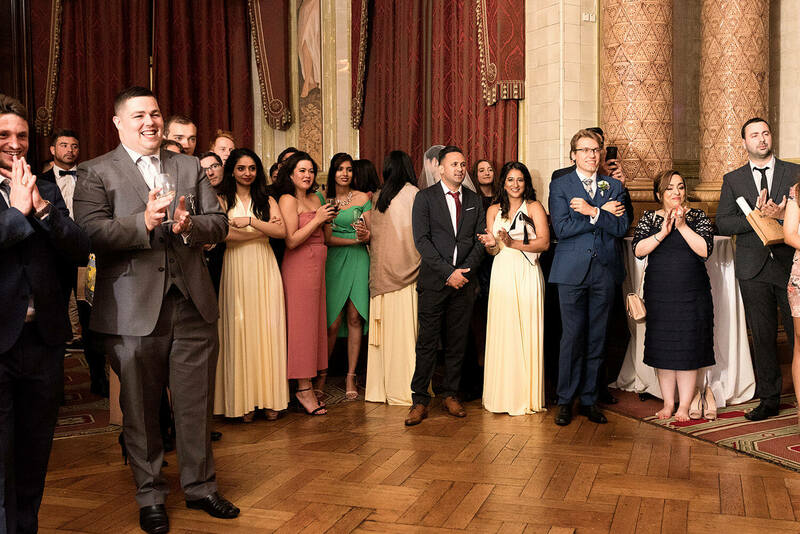 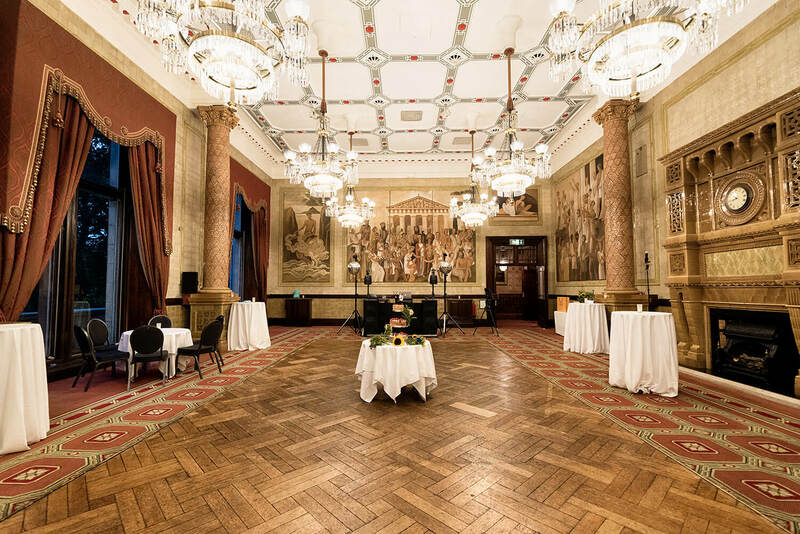 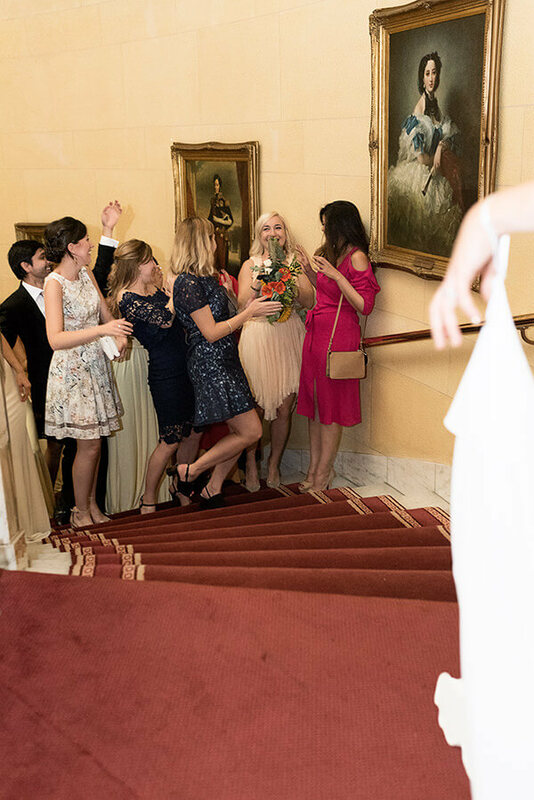 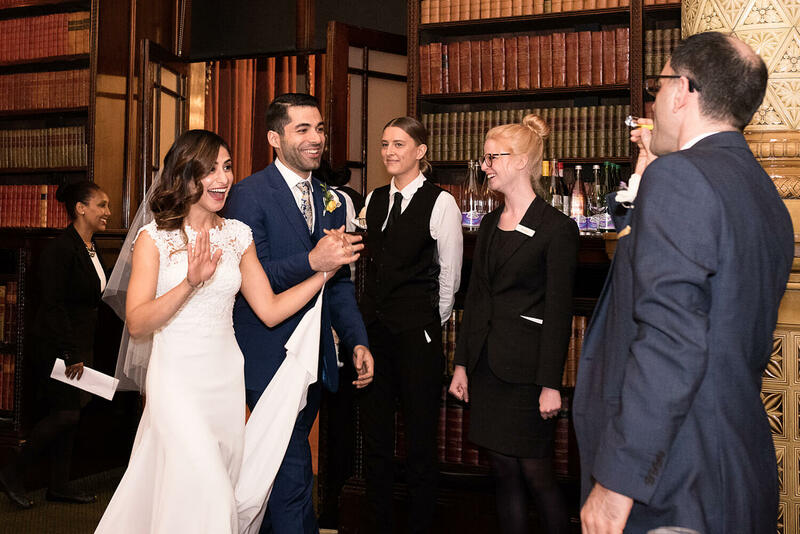 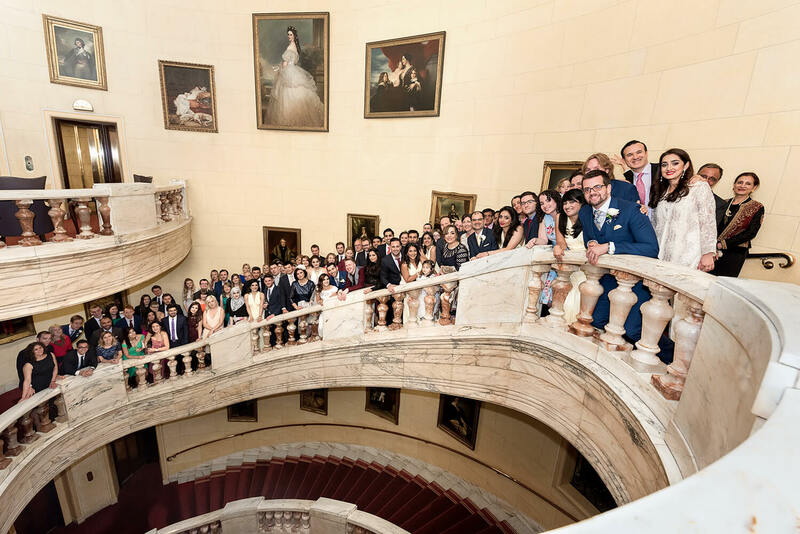 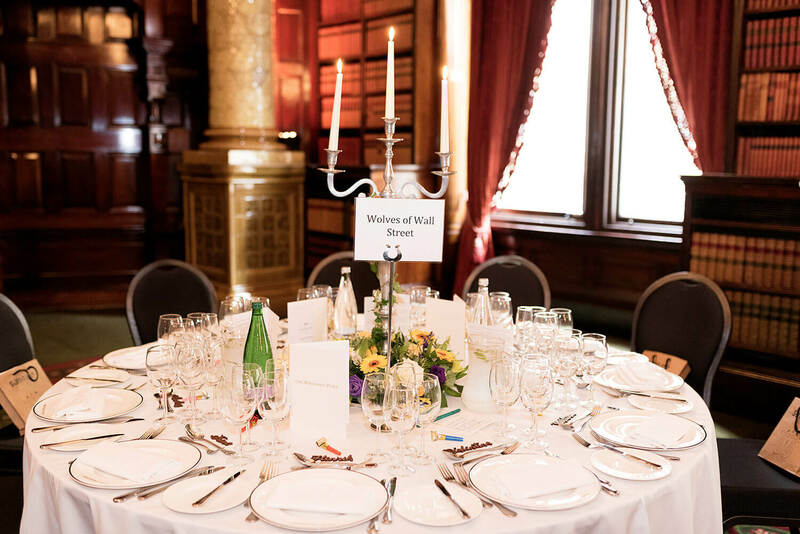 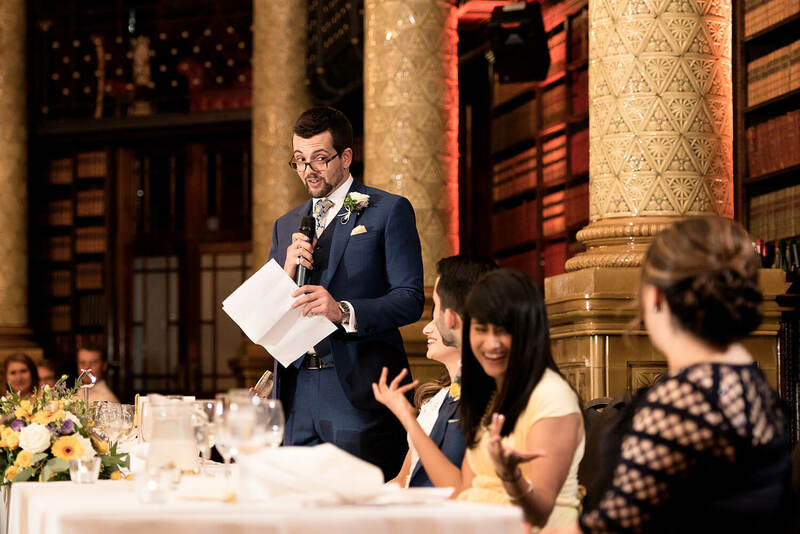 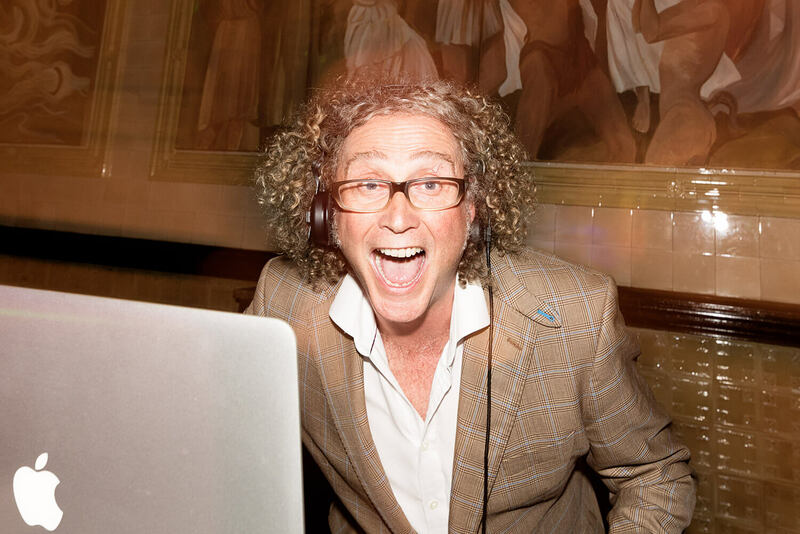 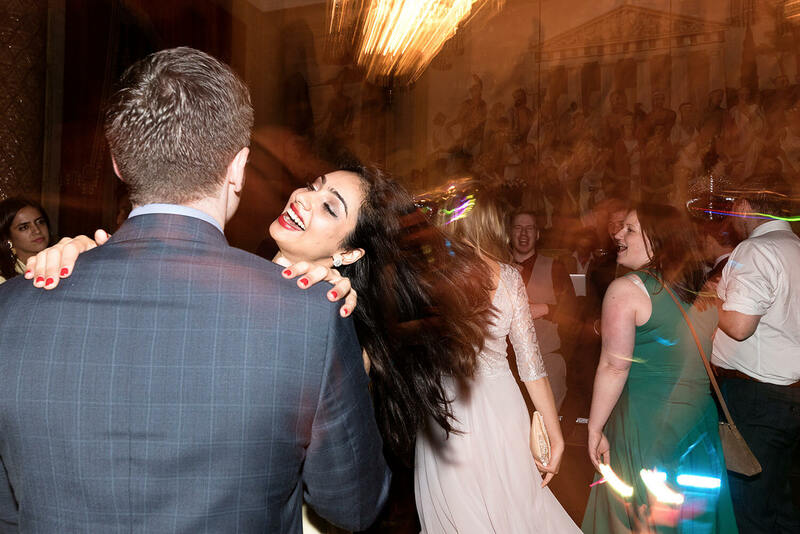 The best-man, James, helped me to organise the guests in the River Room and also to call all the guests for a big group shot on the big stairways of One Whitehall Place… thanks James!!! 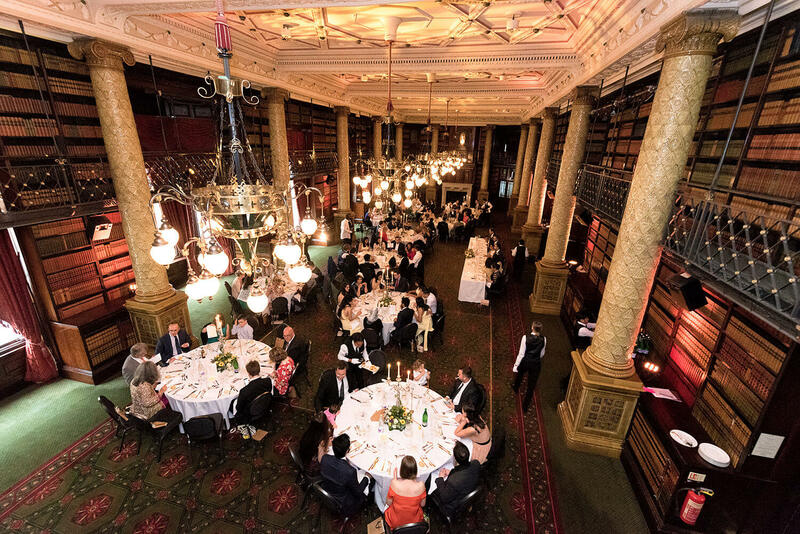 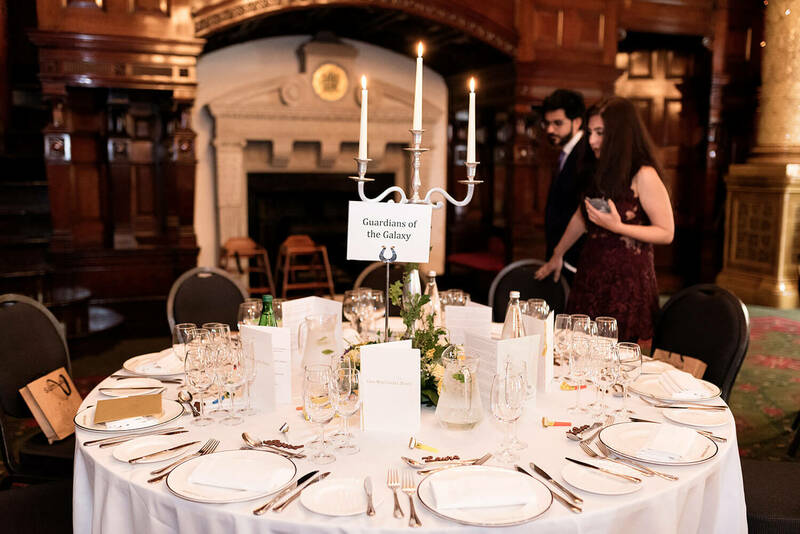 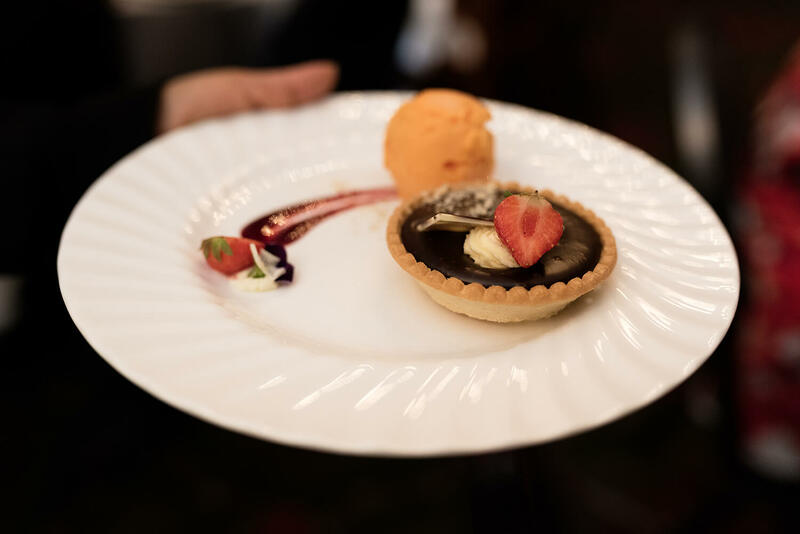 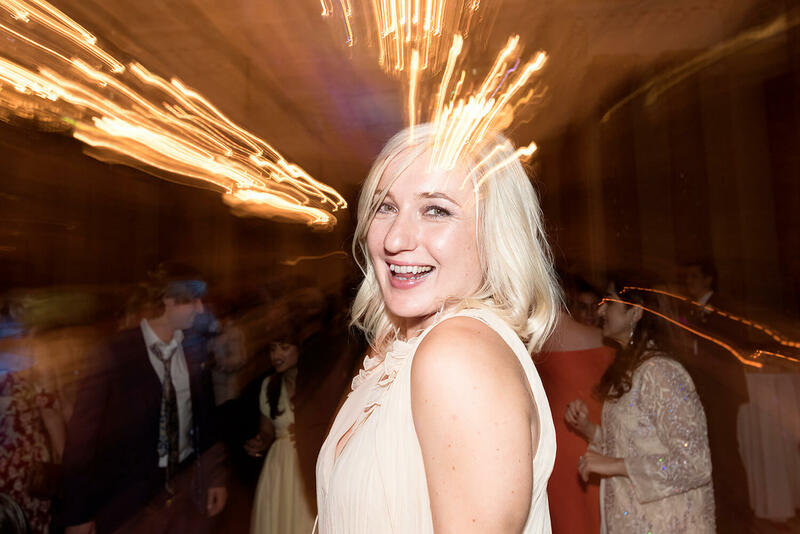 The wedding dinner was served at The Gladstone Library, one of the most iconic rooms of the building. 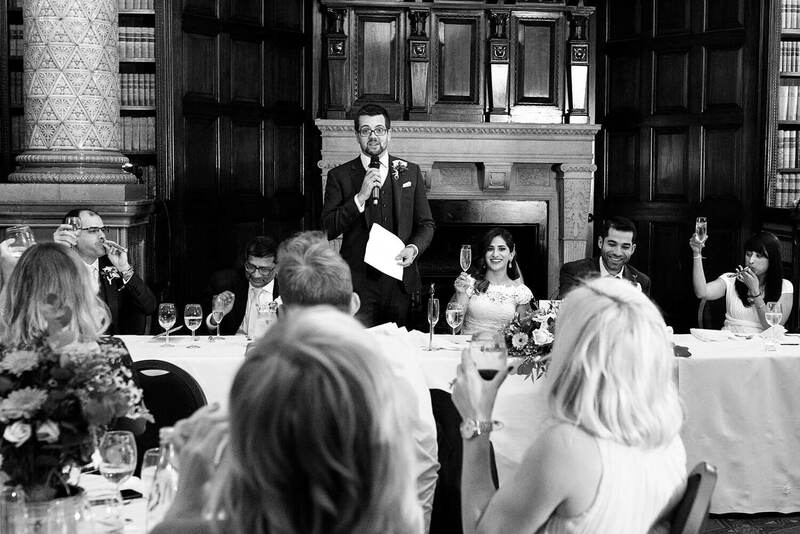 Speeches also took place at The Gladstone Library. 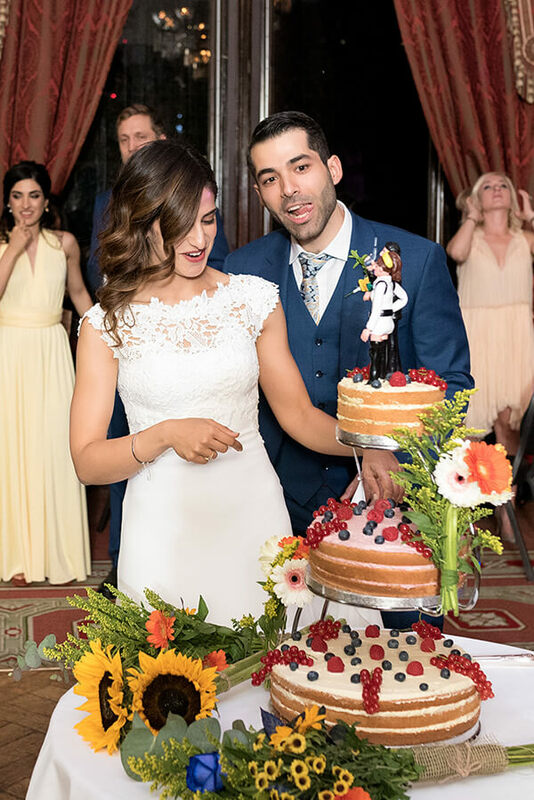 The final bit of my photo coverage was the cake and the dances, which took place in the Reading & Writing Room. 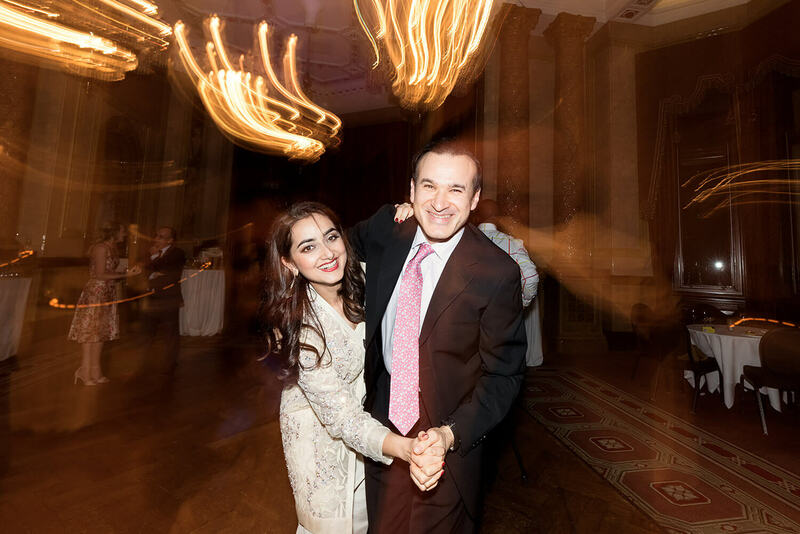 I was surprised to see Subul dancing with her father to some very traditional music, and all of a sudden, the music changed to a totally different style.. very creative! 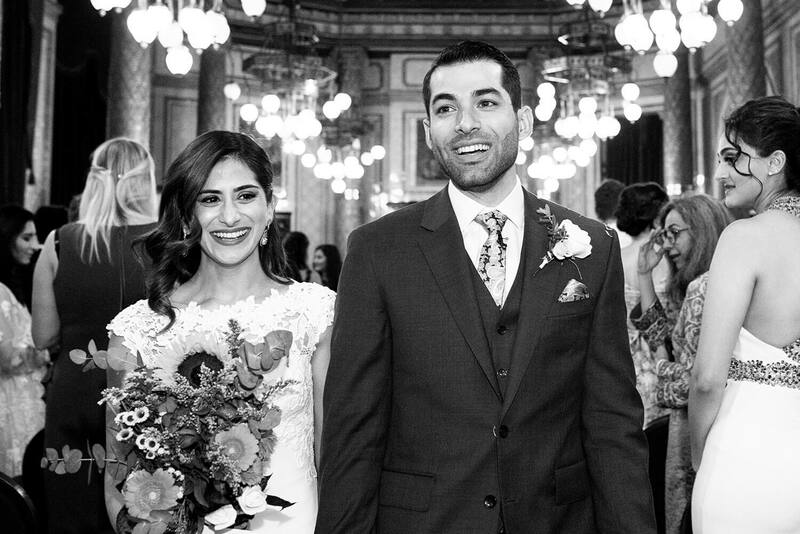 I would like to thank Subul & Mo for having me on their beautiful wedding. 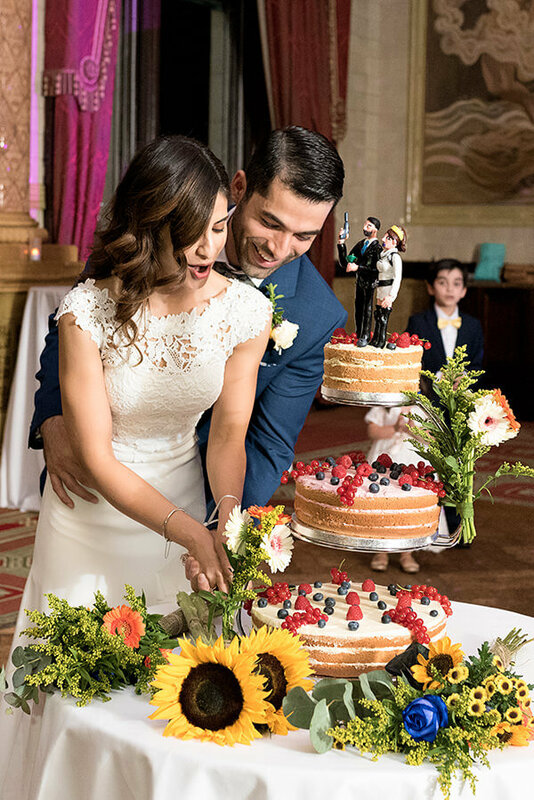 Wish you guys a long and happy life ahead! 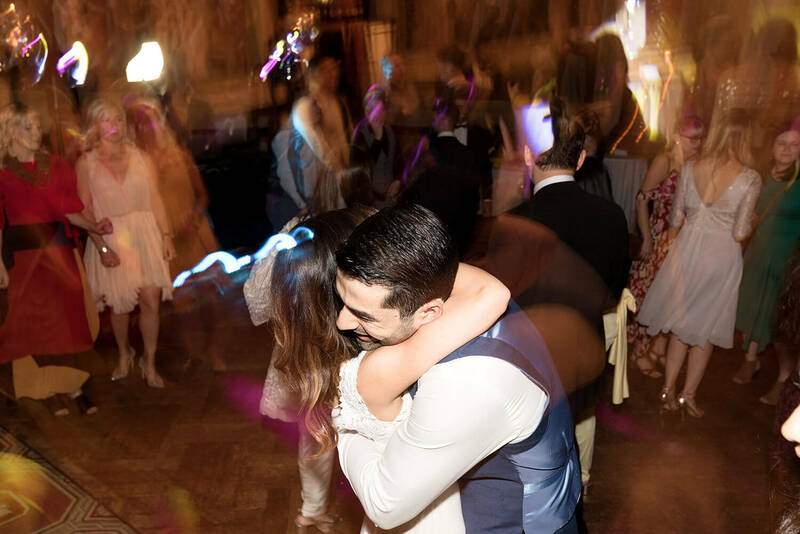 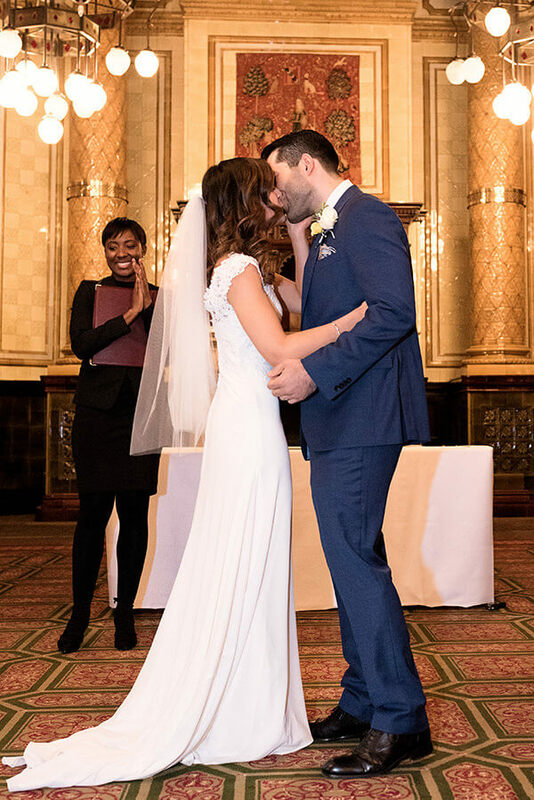 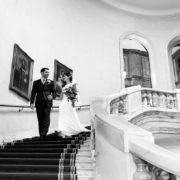 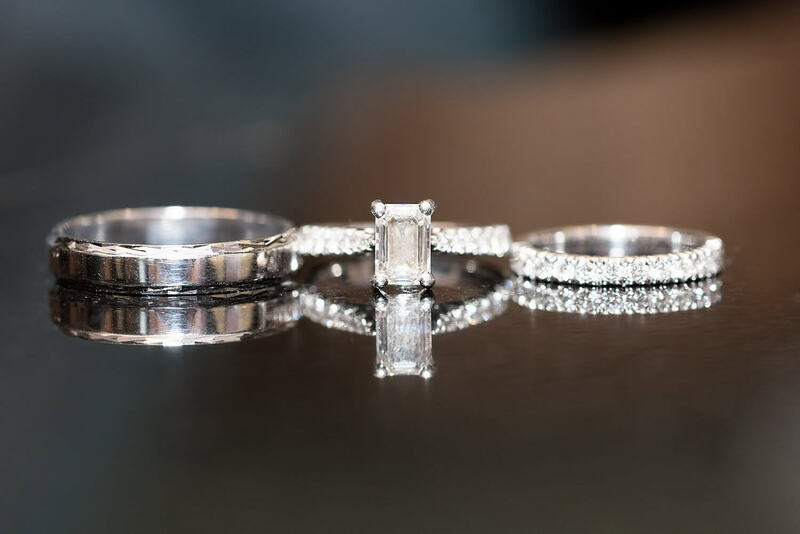 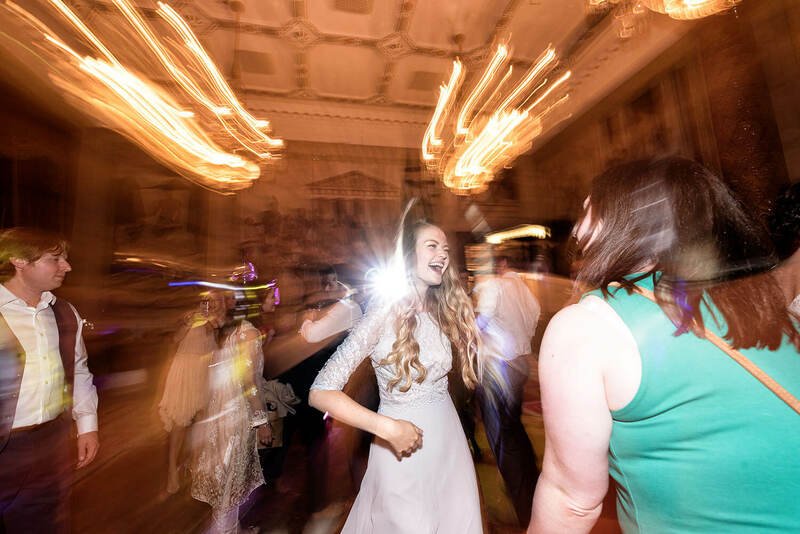 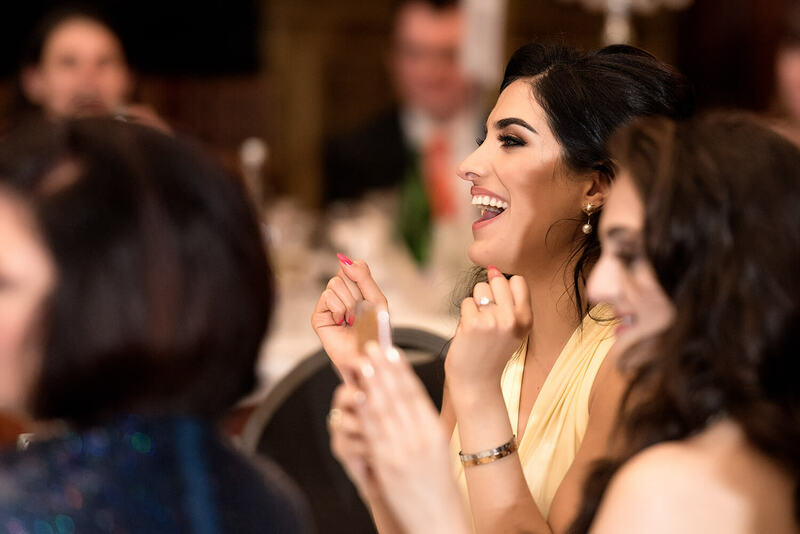 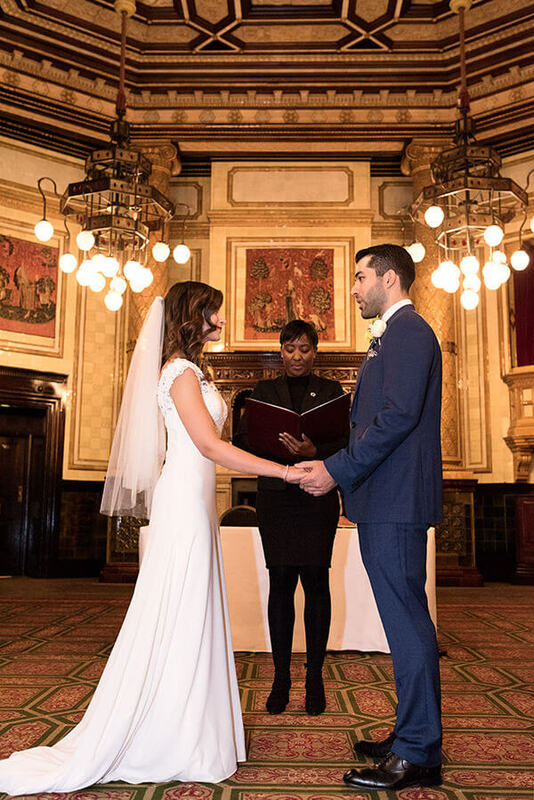 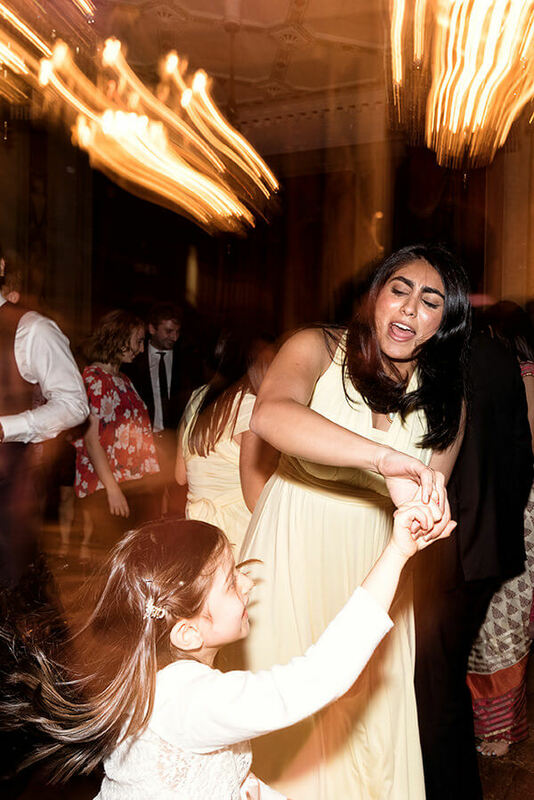 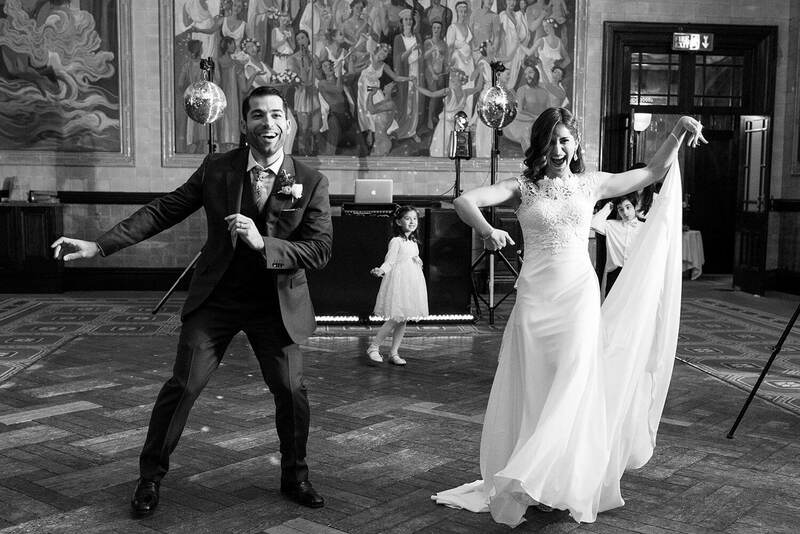 Are you looking for a London wedding photographer? 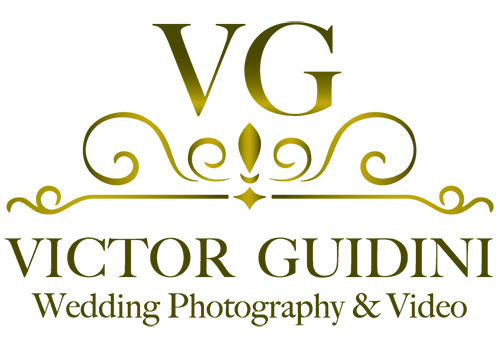 Please get in touch and let me know about your plans. 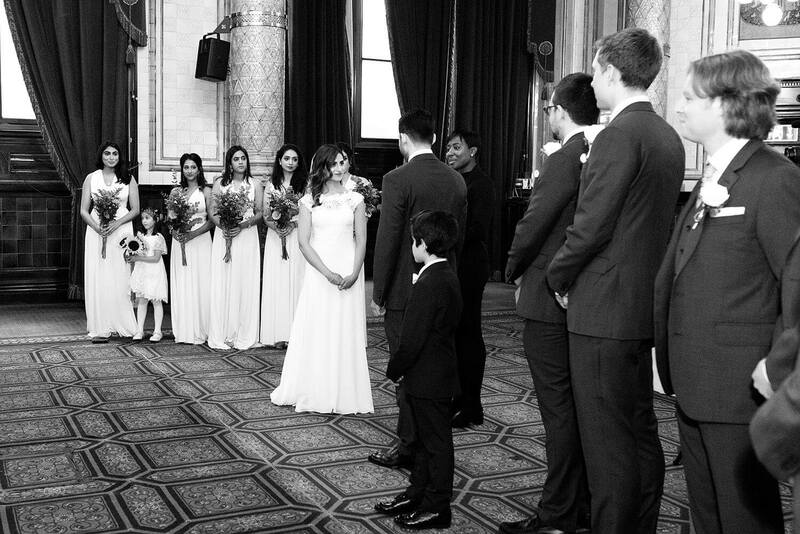 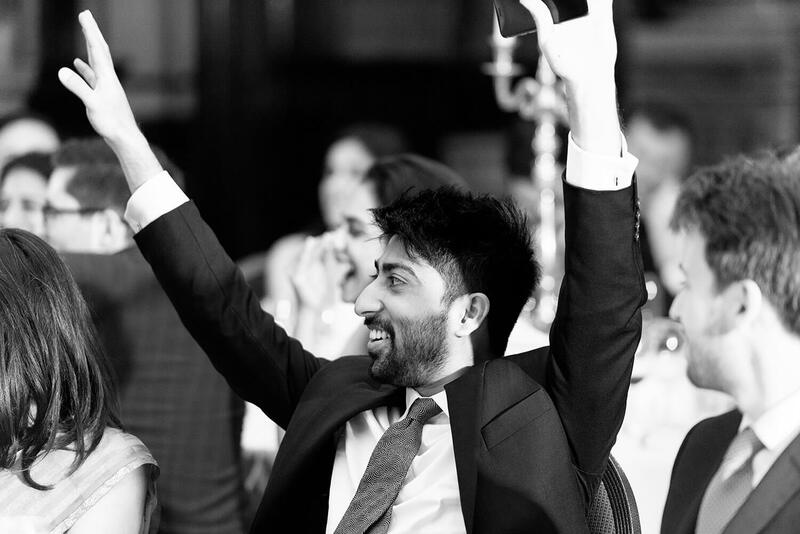 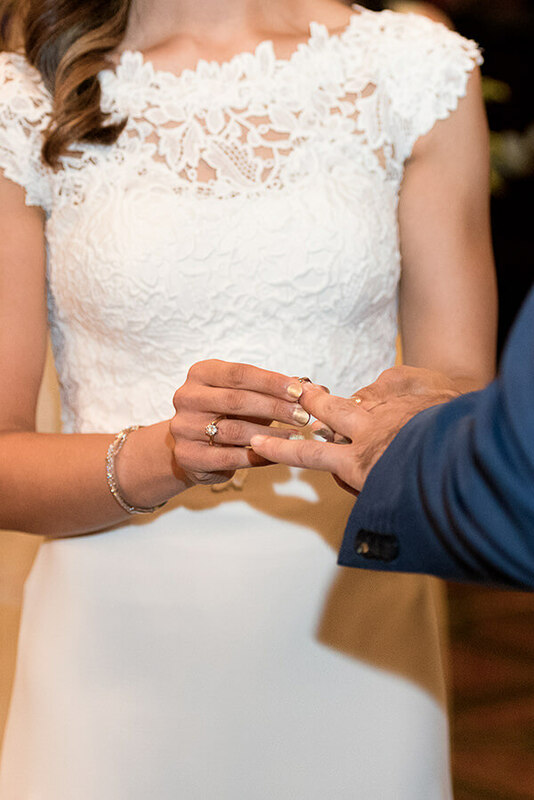 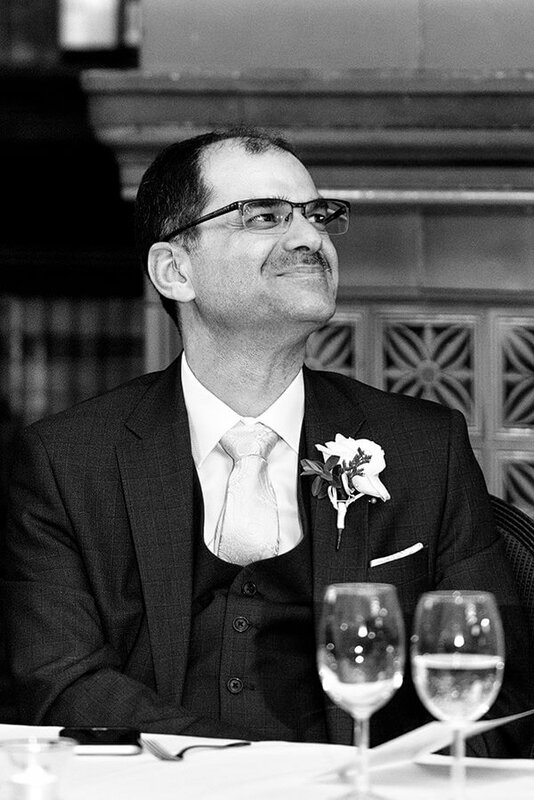 I have all the expertise and experience needed to cover weddings in the UK and worldwide. 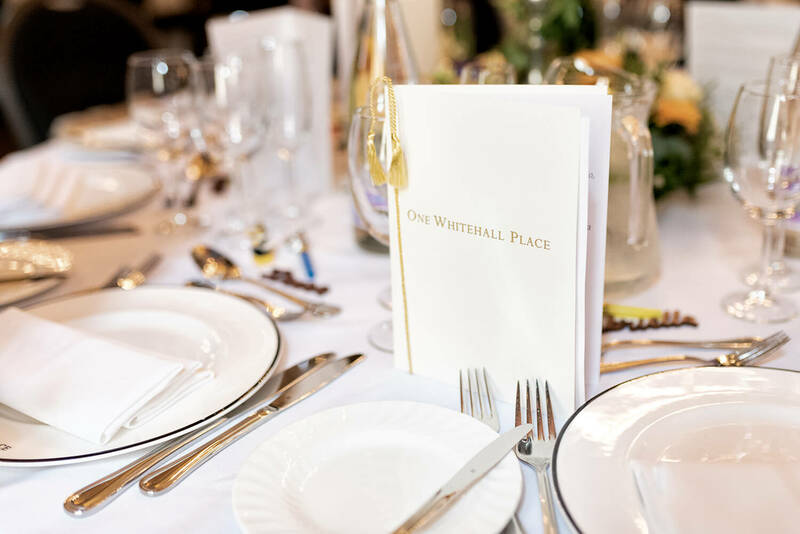 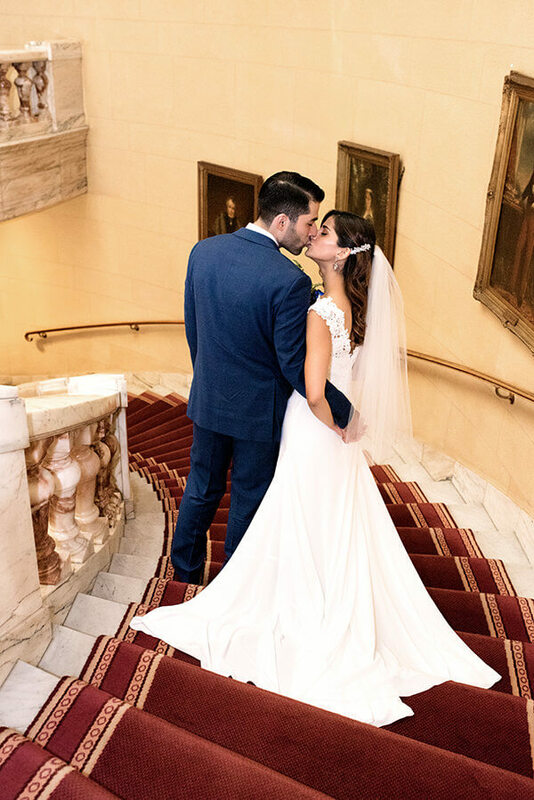 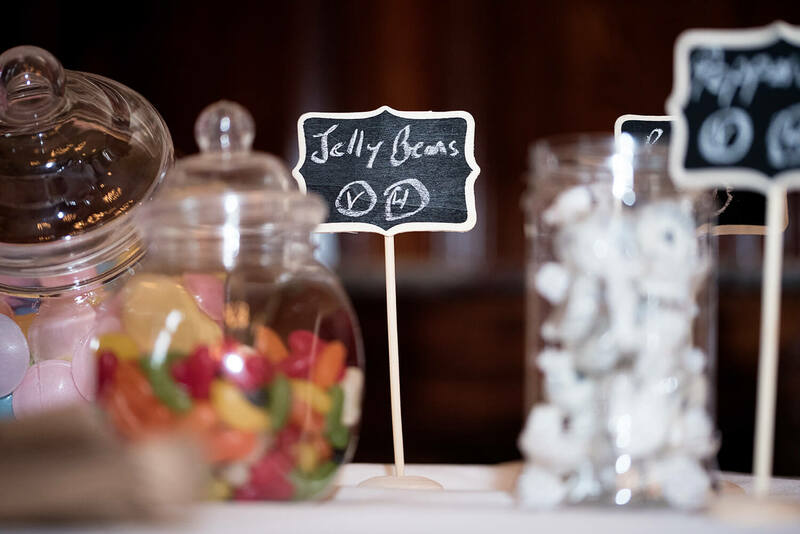 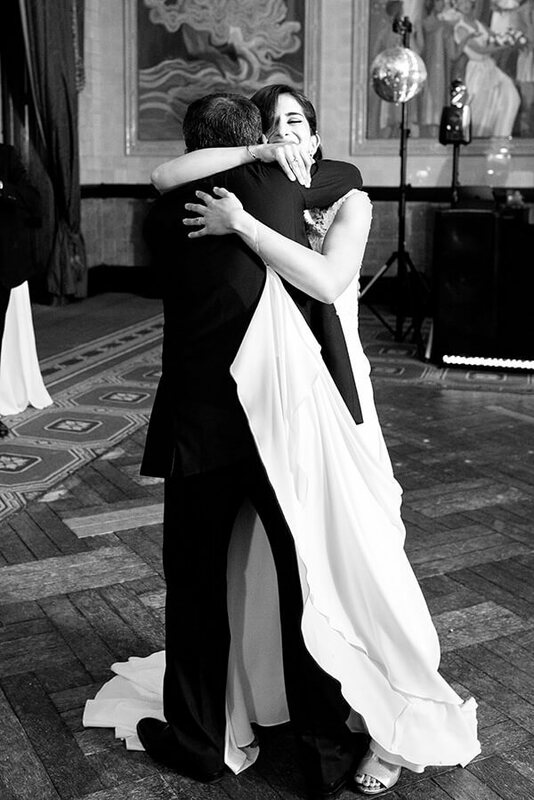 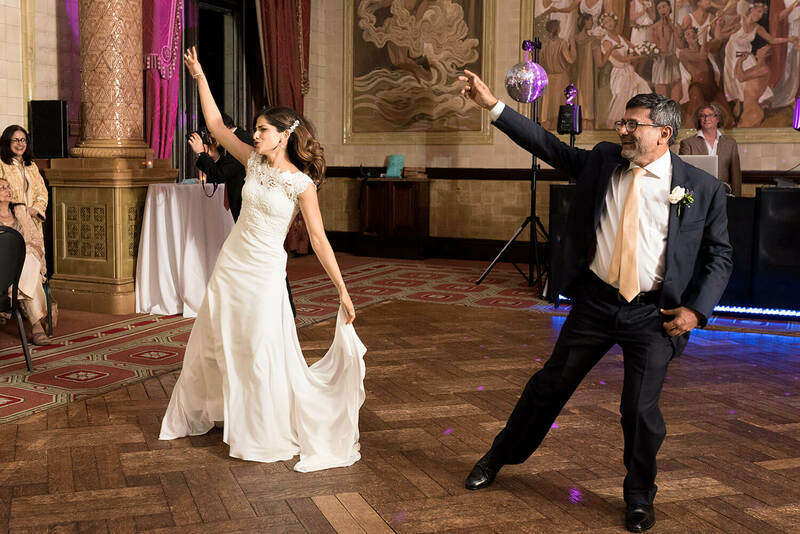 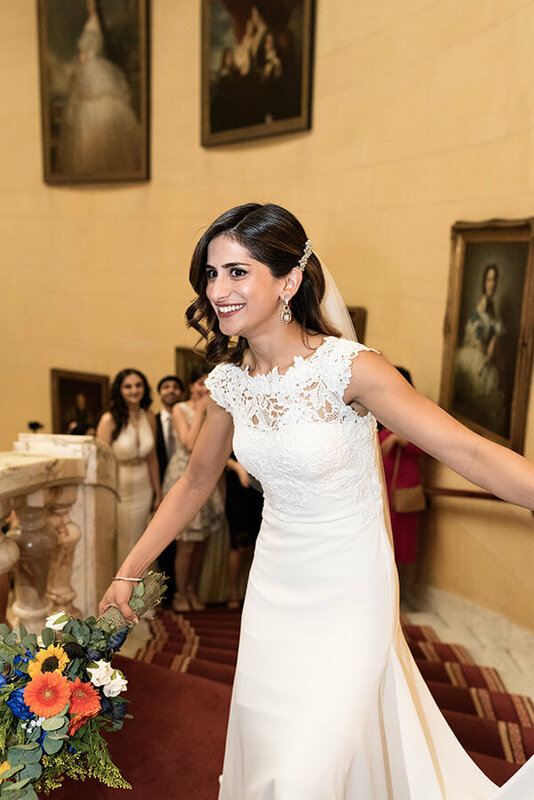 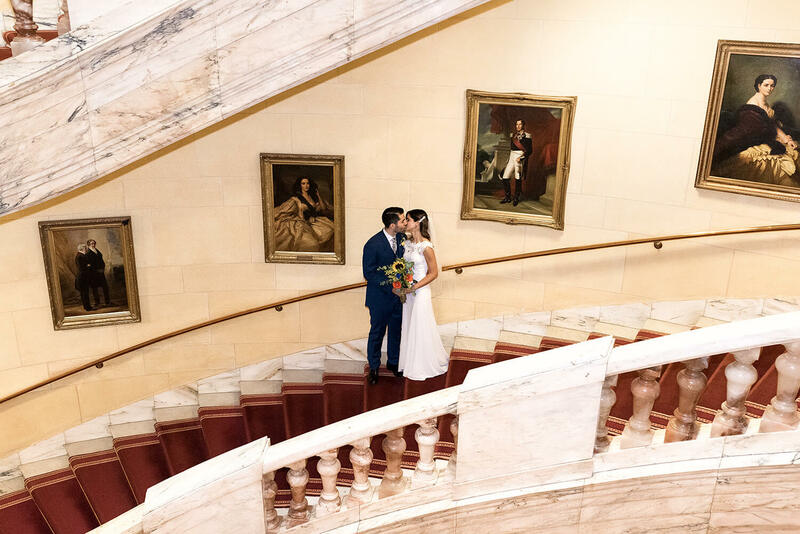 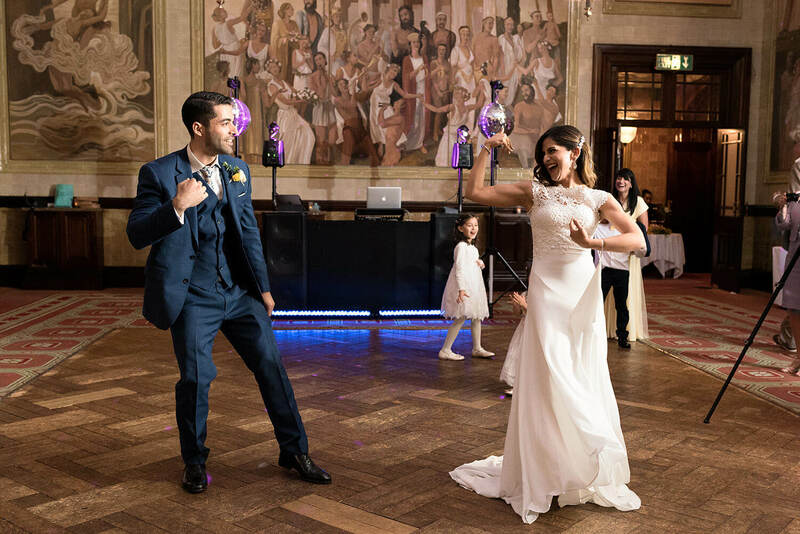 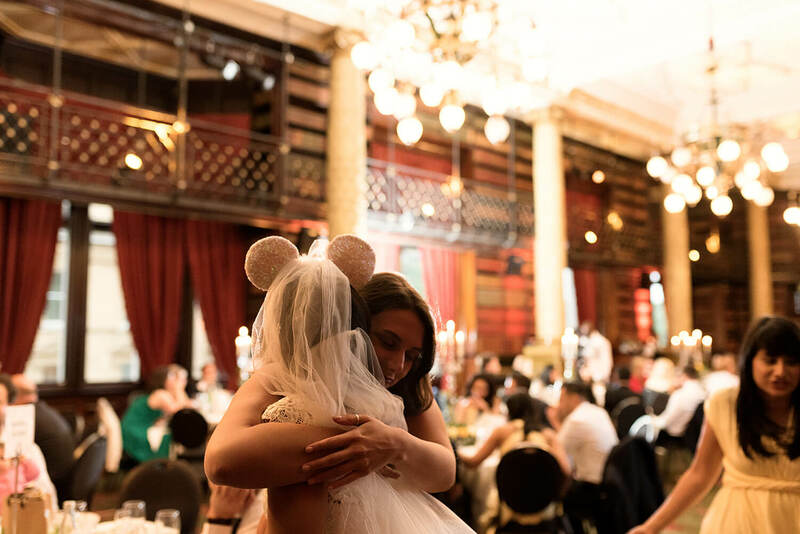 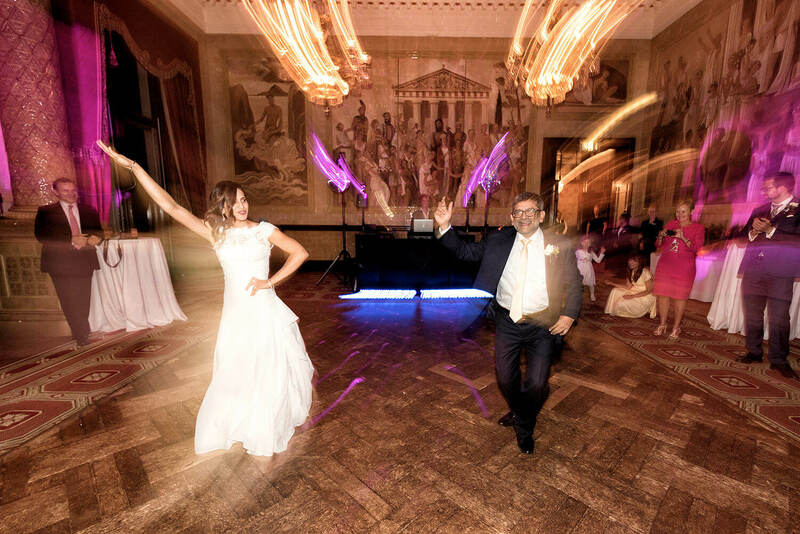 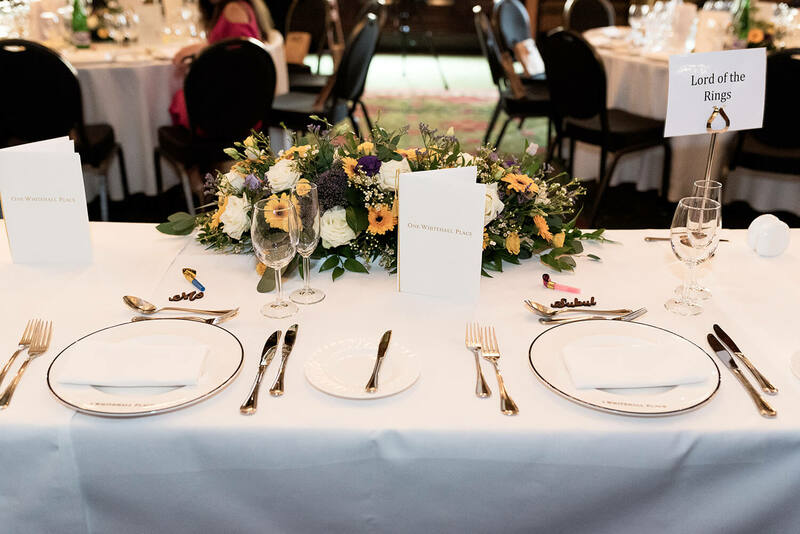 Below you can find some photos of this wonderful wedding at The Royal Horseguards Hotel / One Whitehall Place.